It was a great week with a small group of photographers and travelers. When I started to edit, I realized a lot of my favorite images were portraits. 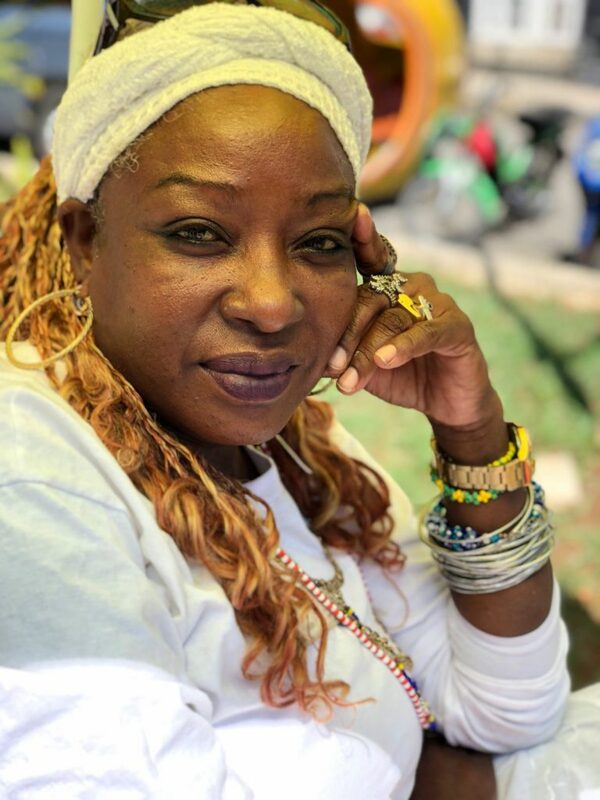 This post includes some of my favorite portraits of Cubans from the trip. 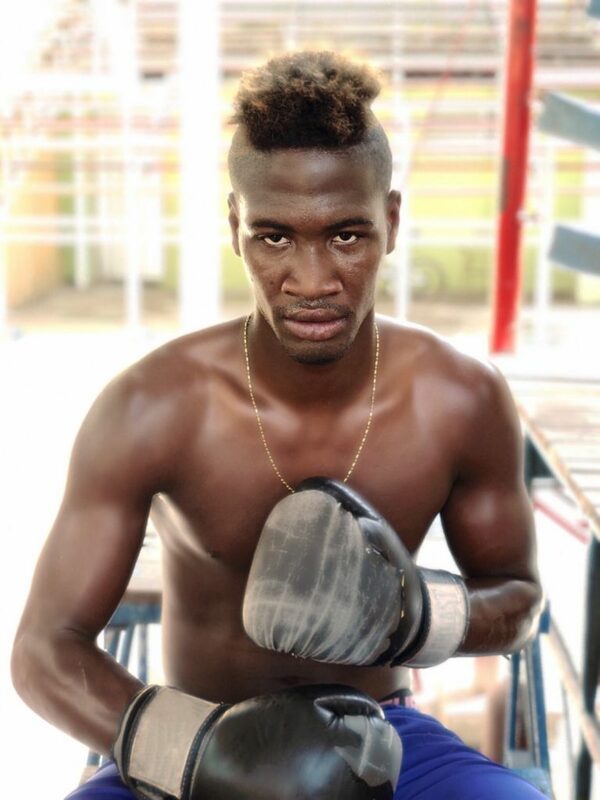 One of the highlights of my time in Havana was visiting a world famous boxing gym, Gimnasio de Boxeo Rafael Tejo. 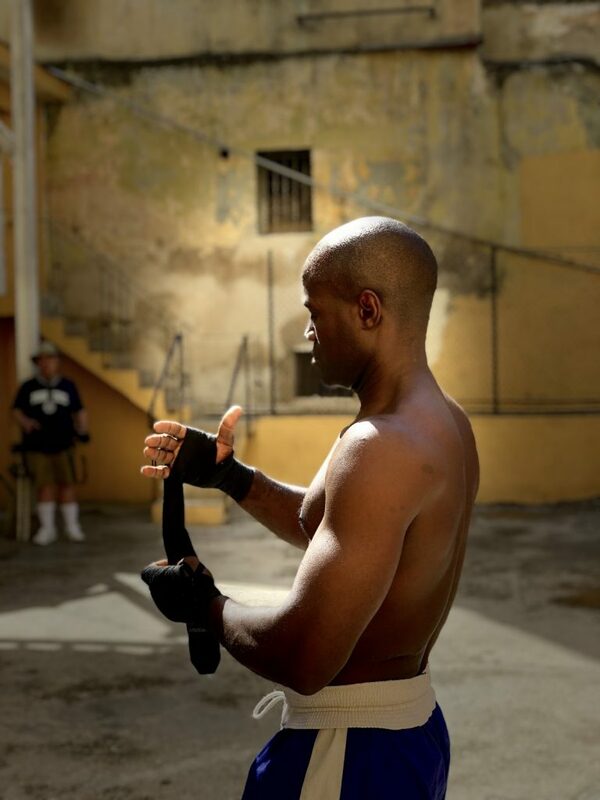 We watched the boxers arrive, warm up and practice. We had some time to photograph them. I’m not a great sports photographer but I really enjoyed the whole experience and got some images I quite like. The crumbling gym and peeling paint was a nice backdrop. 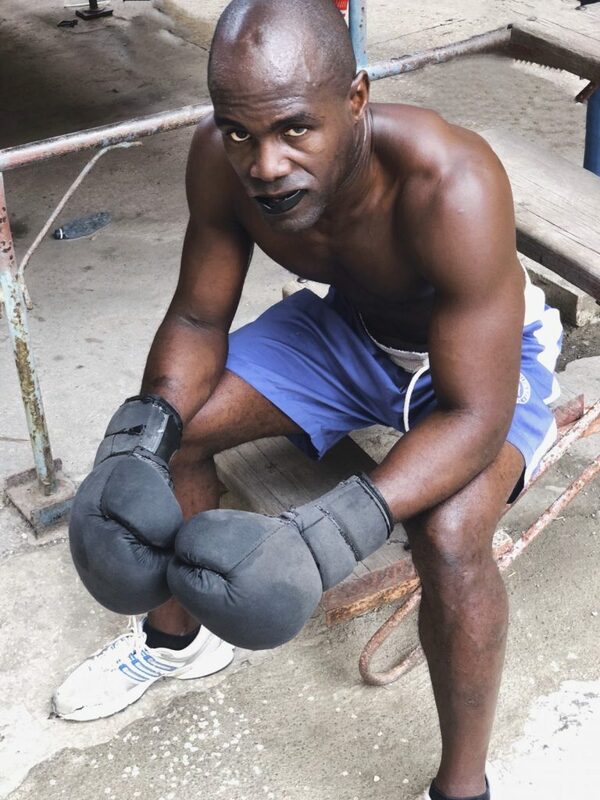 I was shooting stills with my Fuji X pro2 and my iPhone X. I got the image above using the iPhone X in portrait mode using the stage light setting, which helped keep the focus on the boxer and made the man in the background less obvious. 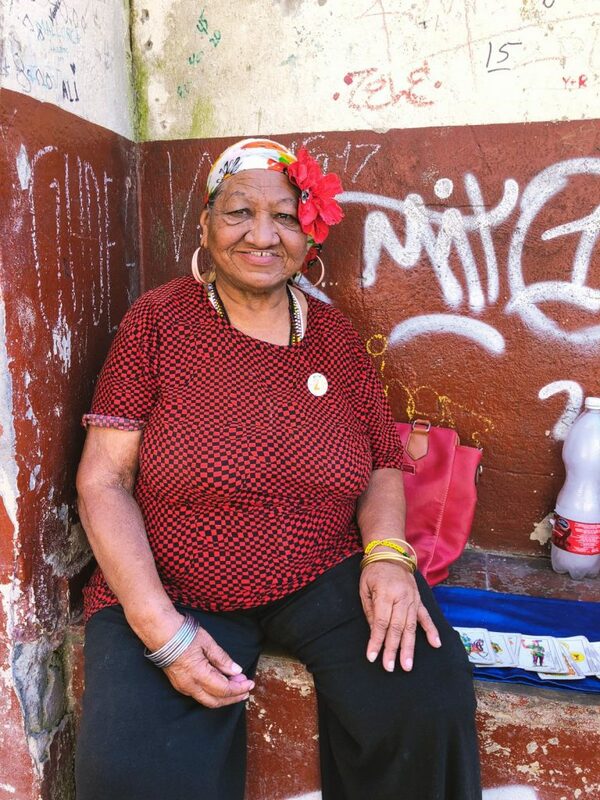 There are several colorful characters who pose for pictures for a living in Old Havana (Havana Vieja). 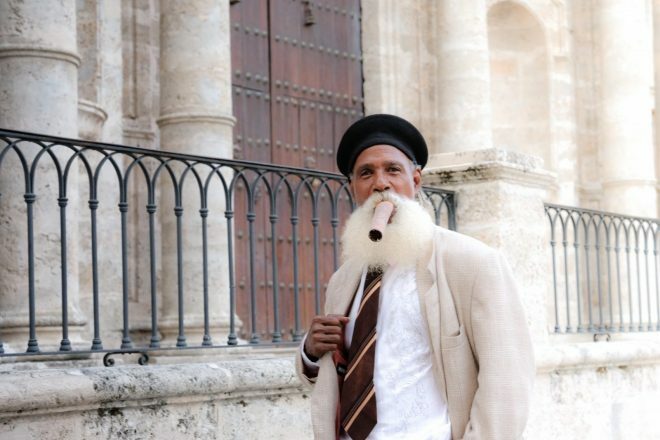 The sharp dressed man in the image above was hanging out in Plaza de la Catedral, striking up poses with a locally rolled cigar. After I took his picture he pulled out an old issue of National Geographic Traveler magazine featuring him on the cover. It was a charming and memorable moment. I do not like paying people to take their picture. 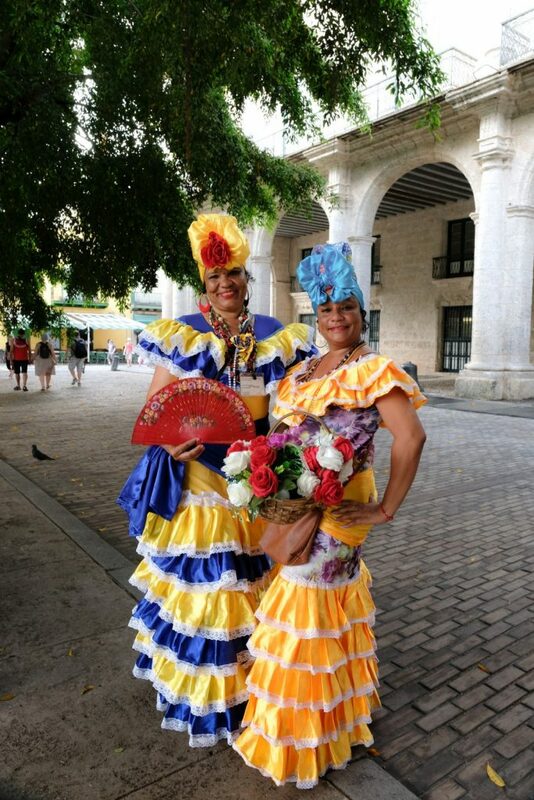 However in a place like Old Havana, when people dress up to pose with and for tourists, it’s completely appropriate to pay them 1 CUC (Cuban convertible peso). The professional posers were just too fun and colorful for me to pass up and well worth supporting. 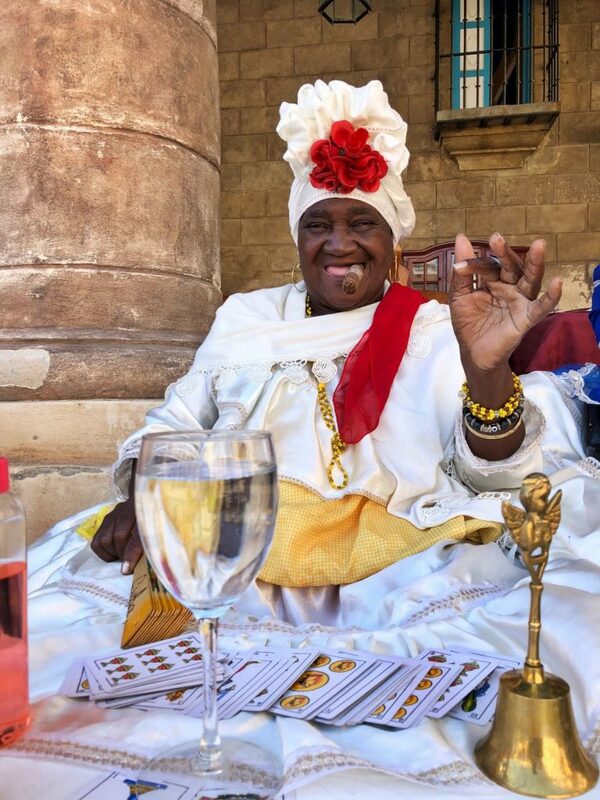 Old Havana is filled with dressed up locals who are at the ready to pose. But as I got get further off the beaten track, I got some candids I quite like. As a group we explored a market that catered to locals, not tourists. 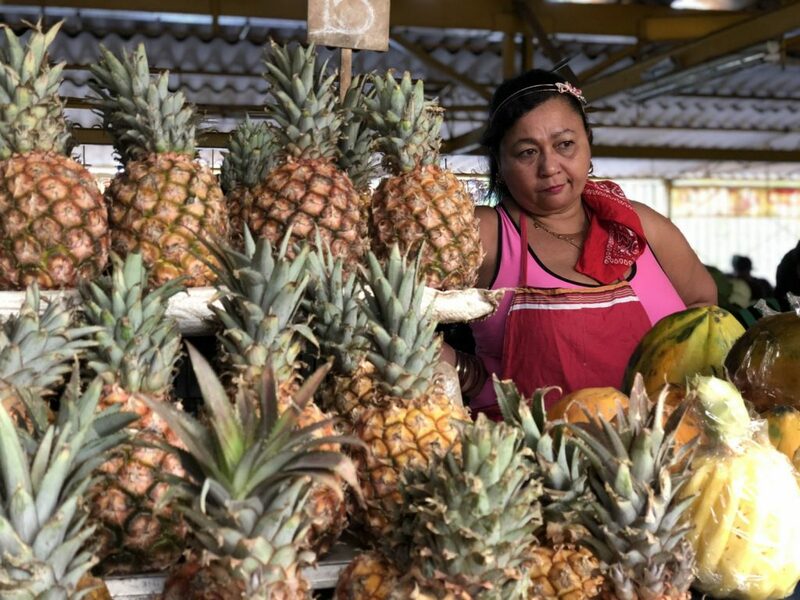 Framing this fruit vendor with her pineapple gave this candid a nice sense of place. 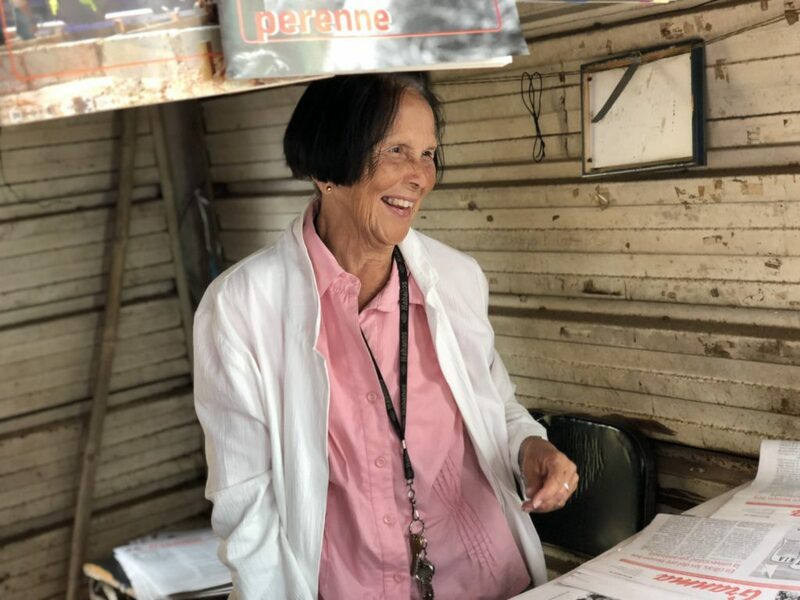 The local market also had a newspaper stand where I got a few candid portraits of the woman running the newspaper stand. With her warm attitude and gorgeous smile, I could have photographed her all day. 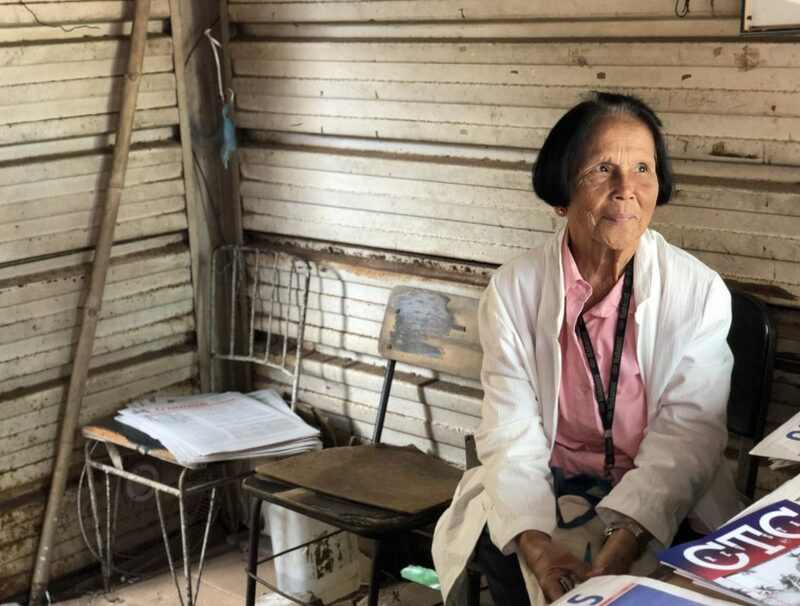 I also got a chance to get out of Havana and to a rural town in western Cuba called Viñales. 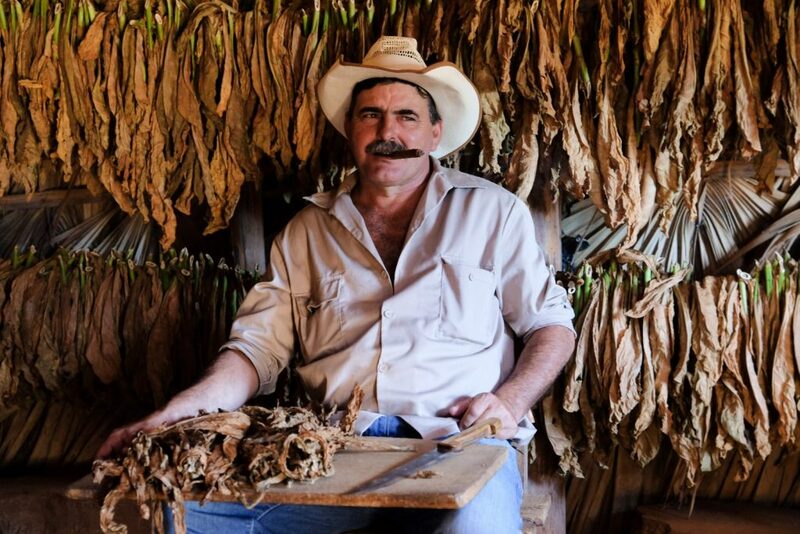 The highlight of this day trip was visiting a local cigar maker named Benito. He had an aging Marlboro Man vibe and likes to flirt. Benito likes having his picture taken. 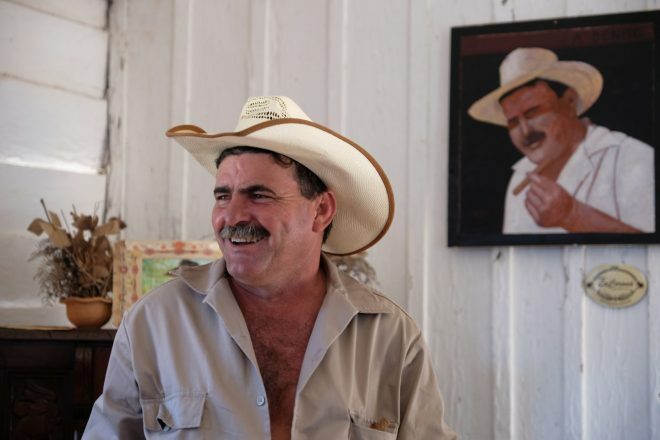 Benito also had several paintings of himself hanging on his property. I really like this meta moment I captured of him in front of a painting of himself. He was very charming and a great subject to photograph. 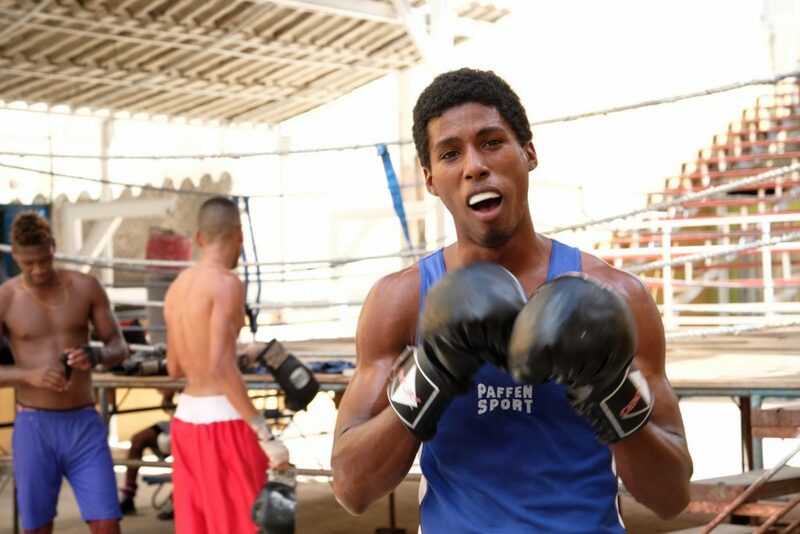 Cubans are quick to smile so it’s a great place to photograph if you like taking portraits. 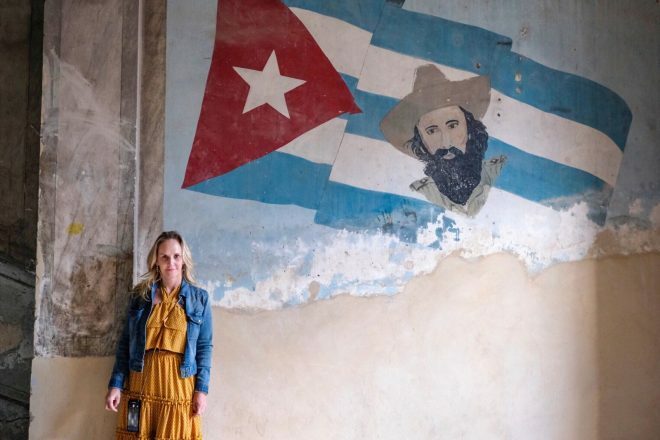 I asked Ralph to take a picture of me in front of a mural at the entrance to La Guarida, an atmospheric paladar (private restaurant) in Havana. La Guarida has expanded in size since I first visited 11 years ago but it’s still very much worth checking out. It was featured in the 1993 film Fresa y chocolate (English translation: Strawberry and Chocolate). It remains my favorite restaurant in Havana. 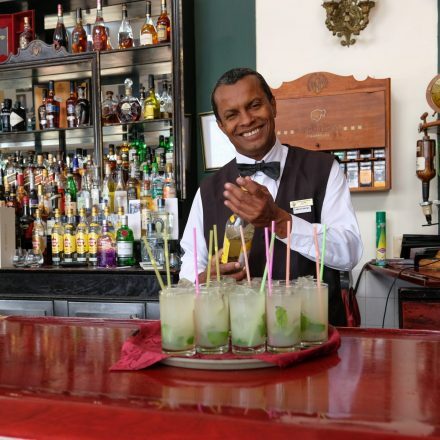 If you’re interested in traveling and learning photography, or want to take a trip to Cuba without having to research all the visas, rules and requirements, think about taking a photo tour. There were a few non-photographers in my group as well and everyone had a great time.